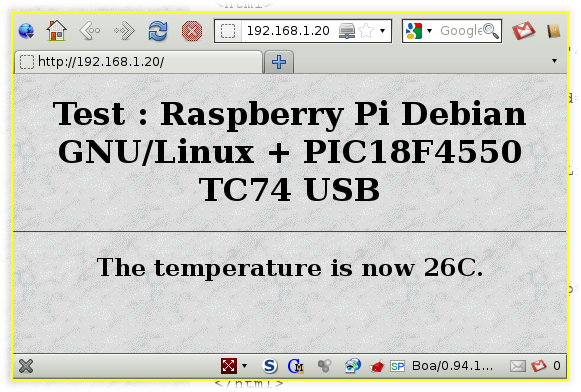 So, now that I have a Raspberry Pi and I can read the temperature with a TC74 over USB, I thought it would be nice to combine them together. 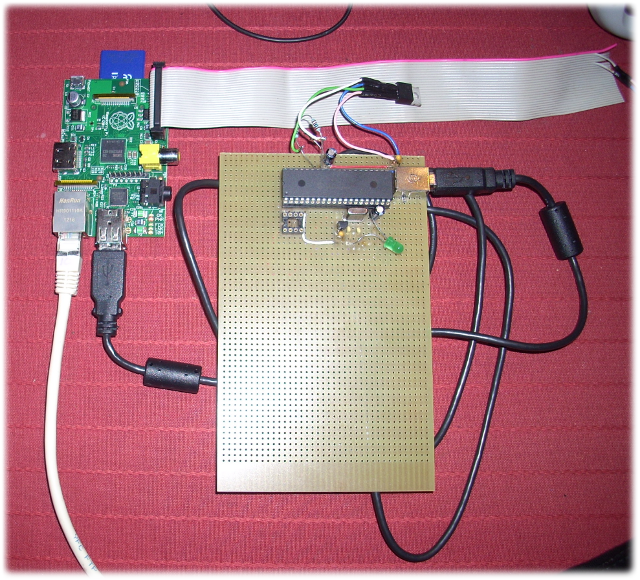 Because the Raspberry Pi makes use of the ARM architecture, a re-compilation of temp.c is necessary. As a test, I have then installed a webserver (boa) on the Raspberry Pi and created a little webpage that displays the current temperature.